Pieta is the world’s first coin that seeks people\’s interest more than its interest by supporting our environment by using the new X20 Algorithm That reduces electricity by cutting 50% power of the mining process. Pieta is the world’s first coin that seeks for customer/business and ecosystem interest more than its interest. Pieta coin aims to shape the regulatory environment and enhance business opportunities for solar power in worldwide and also, to ensure that more energy is generated by solar than any other energy source and to lead our investors, supporters, members and partners to make solar the core of a smart, sustainable and inclusive energy system. Although, our driving motivation is to secure the livelihood of present and future generations and protect our natural resources. So, we are seeking to hold a leading role internationally in the field of renewable energy systems and technologies. Through Pieta coin and its funding's from pre-sale and ICO, it will enable us to contribute significantly to creating a sustainable, economical, secure and socially just energy supply worldwide, paving the way for an energy supply based exclusively on renewable energy sources. Pieta seeks to fulfill equality to all customers/merchants through purchasing opportunity and bonus offers on tokens and also mining process after launched. As acceptance of utilizing cryptocurrency has begun and also cryptocurrency market increased was high at the end of 2017. What makes pieta unique about its choices, is that it uses X20 algorithm and secure and fast transaction fees with high security and block chain structure that delivers simplified user interface which doesn't require technical aptitude. - Pieta will deliver a simplified experience for the user and also a simplified platform enabling all users-regardless technical awareness-to fully participate in the cryptocurrency economy by earning pieta tokens or through mining. - Pieta is decentralized cryptocurrency and product that revolutionary with its X20 algorithm and blockchain. 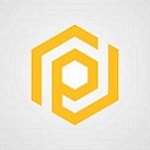 - Pieta application wallet and website focuses on ease-of-use and speed of transaction with low cost of transactions. Has a high level of security and fast transactions. Block size: Max Size 2 MB. Easy mining by algorism X20 and also cryptocurrency wallet. Access to a point-of-sale network of businesses that accept pieta coin transactions. Friendly use no need for technical knowledge to purchase or mine. A very low cost compared to today’s cryptocurrency. Block reward =12 pieta coin. Blockchain algorithm X20 which designed to reward miners for all effort to incentive positive network growth.